Teaching science is such a great job! I get to create, explore, discover, build and so much more every day along with my students! One of the most important concepts that I need to cover to start off each year with success is to teach the scientific process. It's hard to believe that we are over a month into a new school year, but this time I had to plan for a new group of students to join me in my NEW science room! This year, I wanted to create something that could start off my FOSS Variables Unit that would capture their attention...help them discover new vocabulary...and get them thinking! 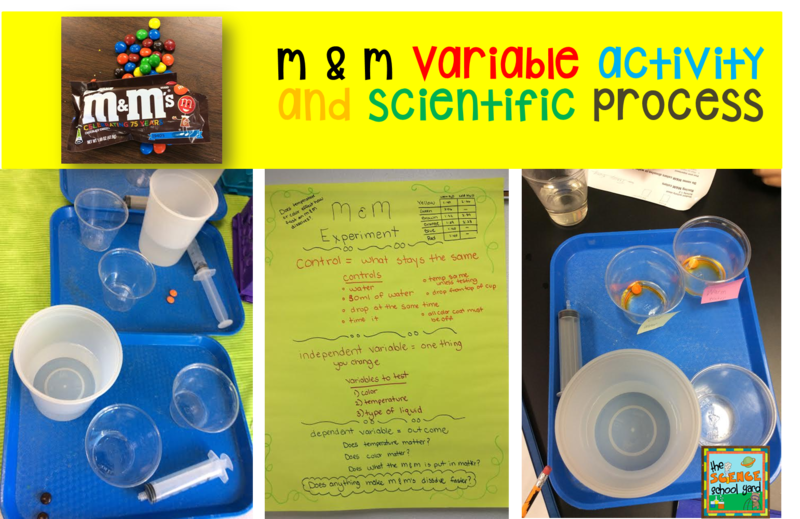 Why teach the Scientific Process at the beginning of the School Year? The scientific process or scientific method is the foundation of science and what all content that you teach builds off of. Take for example my first FOSS Magnetism and Electricity lesson. The students explore and learn what a magnet is and what it is attracted to. By using the scientific method...we ask a question...(What is attracted to a magnet?) Scientists are naturally curious about the world around them. Let the students then form questions! Once they do that they can form a hypothesis...conduct and experiment, and then analyse the data and draw conclusions! Presto! You have the process laid out for them! Again, this sets the foundation for all of your questions and experiments that follow! What are the parts of the Scientific Process? 1. Purpose/Question: State the purpose or question you want to answer. 2. Research: Find out more about the topic. 3. Hypothesis: Predict the outcome of the problem/question. 4. Experiment: Develop procedures to test your hypothesis. 5. Analysis: Record the results of the experiment. 6. Conclusion: Compare the hypothesis with your results and come up with a conclusion based on your results. It is always a bonus to share what others have found out as well! How can I help my students to understand the process? post the scientific process in the room to refer back to it every time there is an experiment. have students post the scientific process in their notebooks to refer back to. a "hook" lesson to get them excited about learning the process! Where can you get your M & M pack? 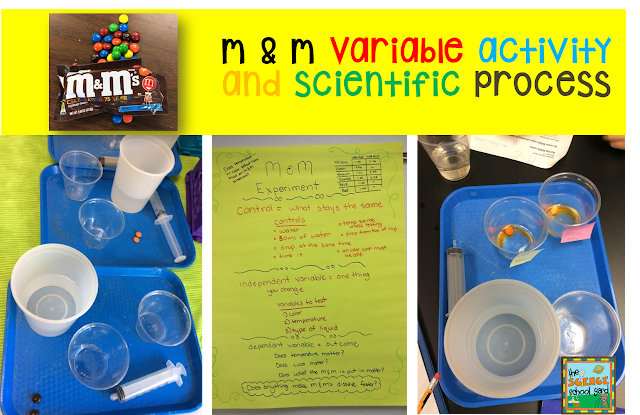 Follow the link right here to help you teach the scientific process or to add to your Variable Unit today!